The second and third day of the 71st edition of the International Film Festival of Cannes started with more photocalls, screenings, premieres for the movies “Yomeddine” by A. B. Shawky, “Sorry Angel” (Plaire, Aimer Et Courir Vite), “Leto” by Kirill Serebrennikov. Kirill Serebrennikov’s latest film “Leto” is a study of the early 1980s rock scene in Leningrad. Serebrennikov missed the premiere of his film ‘Leto’ at after being put under house arrest for fraud. Russian beauty Irina Shayk is all smiles as she hits the red carpet at the screening of “Yomeddine” held during the 2018 Cannes Film Festival at Palais des Festivals on Wednesday (May 9) in Cannes, France. The 32-year-old supermodel was accompanied on the carpet by her The Lions modeling agent Ali Kavoussi, who was celebrating his birthday at the event. She was dressed in Twinset black gown, accessorized with Chopard jewelry and donned bold red lips makeup look. American actress Julianne Moore was all smiles at the screening of “Yomeddine” held during the 2018 Cannes Film Festival at Palais des Festivals on Wednesday (May 9) in Cannes, France. The 57-year-old exuded elegance dressed in Yves Saint Laurent black strapless gown while finishing off the look with diamond Chopard necklace. Spanish screen siren Penelope Cruz was spotted leaving the Chanel x Vanity Fair Party held during the 2018 Cannes Film Festival at Palais des Festivals on Wednesday (May 9) in Cannes, France. The 44-year-old lightened things up with floaty tiers of pale blue with a Chanel Spring 2018 dress. Thai actress Araya A. Hargate was all smiles at Chopard Gentleman’s Night held at Martinez Hotel in Cannes, 05/09/2018. The 36-year-old actress looked elegant dressed in Christian Dior Pre-Fall 2018 dress while completing the look with Chopard jewelry. 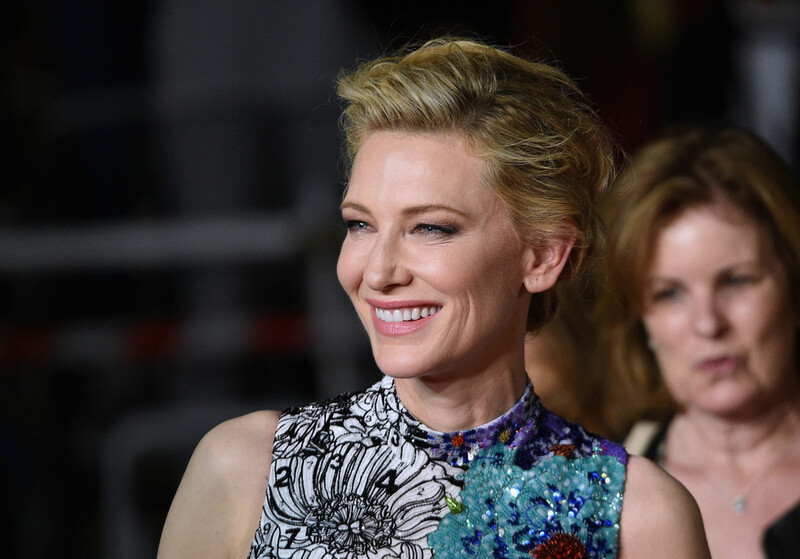 All eyes were on Cate Blanchett during the ‘Cold War (Zimna Wojna)’ Premiere at Cannes Film Festival, on 10th May 2018. The 48-year-old opted for elegance and looked effortlessly chic Mary Katrantzou in a halterneck, sleeveless evening gown adorned with a black and white floral and leaf pattern, which gradually filled out with splashes of multi-colour as it descended into a puffball hemline. 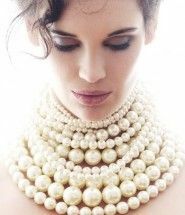 She finished the look with Chopard’s Haute Joaillerie Collectio. All eyes were on Cate Blanchett during the ‘Cold War (Zimna Wojna)’ Premiere at Cannes Film Festival, on 10th May 2018. The 48-year-old opted for elegance and looked effortlessly chic Mary Katrantzou in a halterneck, sleeveless evening gown adorned with a black and white floral and leaf pattern, which gradually filled out with splashes of multi-colour as it descended into a puffball hemline. She finished the look with Chopard’s Haute Joaillerie Collection. French model Thylane Blondeau posed to the photographers at the Sorry Angel (Plaire, Aimer Et Courir Vite) Premiere during 71st Festival de Cannes, 05/10/2018. The 17-year-old L’Oréal Paris ambassador looked regal wearing Alberta Ferretti black princess gown. Chinese model Sui He also attended the ‘Sorry Angel’ premiere during the 71st Annual Cannes Film Festival in Cannes, France – May 10, 2018. For her second red carpet appearance, the 28-year-old looked radiant dressed in Ralph & Russo Spring 2018 Couture gown and completed the look with Chopard jewelry. Bollywood beauty Deepika Padukone posed to the photographers at red carpet for the ‘Sorry Angel’ premiere during the 71st Annual Cannes Film Festival in Cannes, France – May 10, 2018. The 32-year-old looked stunning dressed in Zuhair Murad’s form fitted bridal gown from their Fall 2018 Bridal Collection while finishing off the look with retro waves hairstyle, and accessorizing with Lorraine Schwartz and Ofira jewels. Amber Heard walked the red carpet for the ‘Sorry Angel’ premiere during the 71st Annual Cannes Film Festival in Cannes, France – May 10, 2018. The 32-year-old actress looked blooming in Valentino ball gown featuring the rich floral print from their Fall 2018 collection. She was announced as the newest global ambassador for L’Oreal Paris! Irina Shayk posed to the photographers at ‘Sorry Angel’ premiere during the 71st Annual Cannes Film Festival in Cannes, France – May 10, 2018. For her second red carpet appearance, the 32-year-old supermodel looked red hot in Atelier Versace spliced style gown and accessorized with Chopard Jewelry. Araya A. Hargate hit the red carpet for the ‘Sorry Angel’ premiere during th 71st Annual Cannes Film Festival in Cannes, France – May 10, 2018. The 36-year-old looked radiant dressed in Ralph & Russo pale pink tulle cape gown from their Fall 2017 Couture collection.